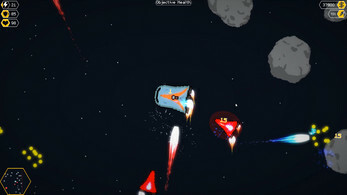 STARSHIPS is a fast-paced, survival space shooter. You, a talented pilot and gun for hire, have been contracted to protect the Sterkborg Space Bank from attackers, following a large security breach that left its defenses crippled. Fight using an astonishing arsenal of awesome weapons in a fast-paced, unpredictable world of Space combat. 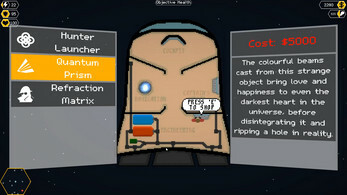 This game is in Beta, and so includes the all mechanics, a single zone, and a handful of missions. Awesome arsenal of epic weapons. 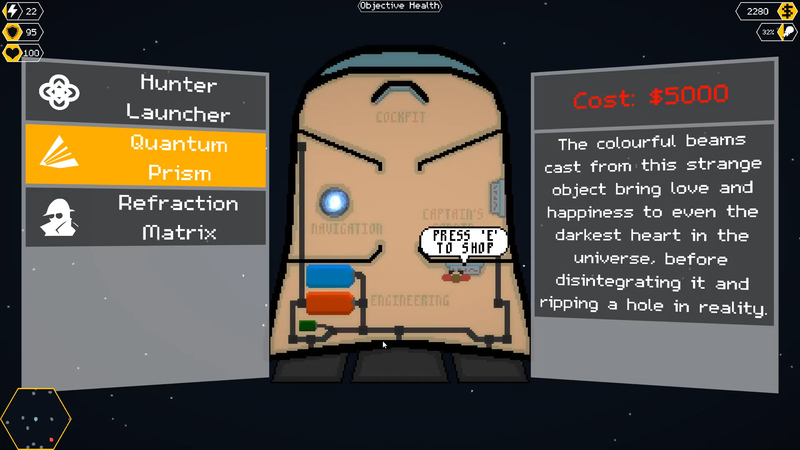 User-editable data: create your own weapons, enemies, scenarios, and more! E - Activate and deactivate console, enter cockpit. Esc - Pause and unpause game. W/S - Forwards and backwards spaceship thrust (also up and down arrow keys). 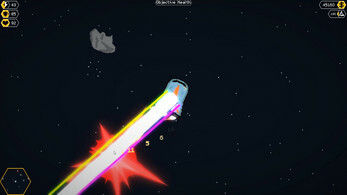 A/D - Rotate spaceship (also left and right arrow keys). Mouse - Aim ship’s turret. Left Mouse Button - Fire turret gun. T - Enable and disable turret rotation. Simply unzip the download file, and run 'STARSHIPS.EXE' to get started.